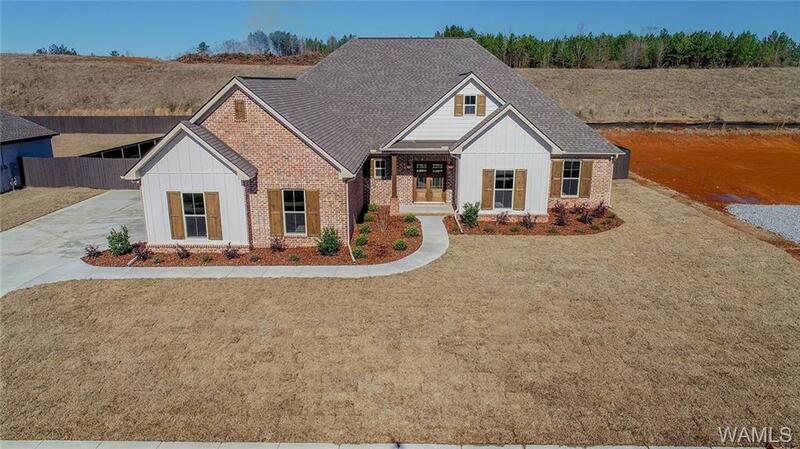 BEAUTIFUL NEW CONSTRUCTION HOME!! This great new home in the Bristol Park subdivision is immaculate! There are 4 large bedrooms and 2.5 baths, providing loads of space for everyone! The inside features beautiful granite countertops in the kitchen and bathrooms along with hardwood floors throughout the common areas of the home. In the living room you can gather the whole family around the large fireplace as the focal point of the room. Outside you can gather on the back patio overlooking the back yard with family and friends. The large fenced in yard provides lots of space for the kids and your animals! In the warm weather be sure to check out the community pool just around the corner from your home! Don't miss out on this amazing home! Listing provided courtesy of Adam Beams of Keller Williams Realty Tuscaloosa.